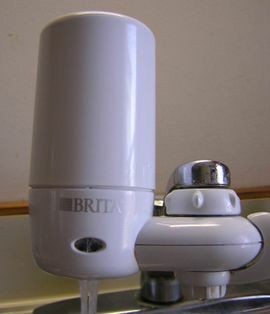 Type of water filtration system that uses a bed of activated carbon to remove contaminants and impurities from tap water. Carbon filters are easy to install, effective, and remove unpleasant tastes/odors. They do not remove fluoride from tap water. Filters must be replaced regularly. Due to their increased surface area, carbon powdered block filters generally remove more contaminants from the water than granular activated filters. Solid carbon filters run between $200 and $300. Along with reverse osmosis systems, they are the most expensive type of home water filtration system.